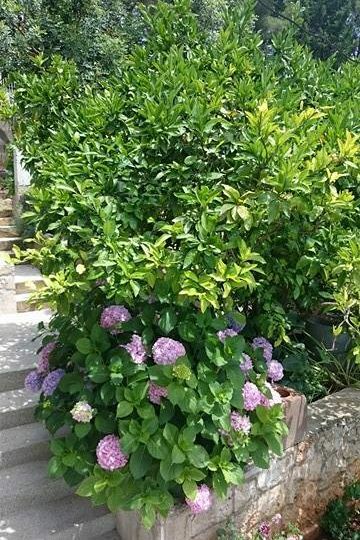 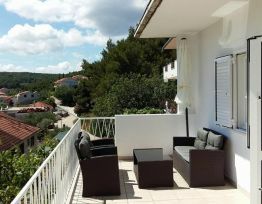 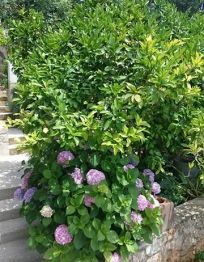 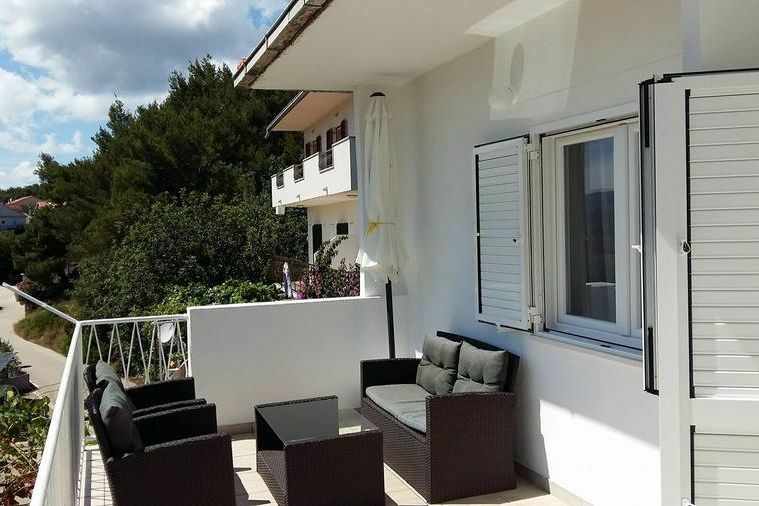 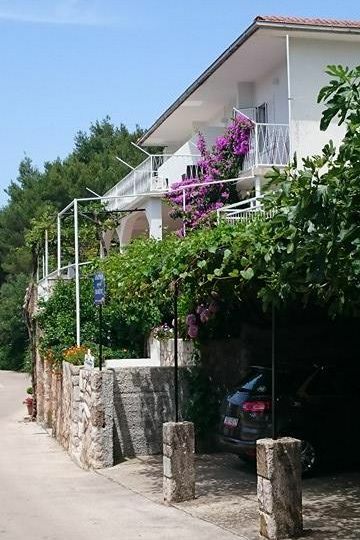 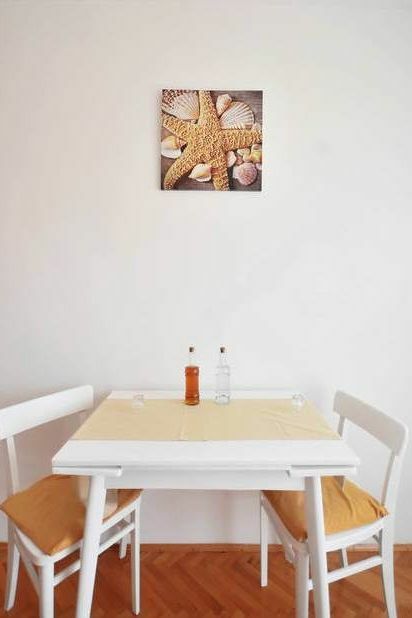 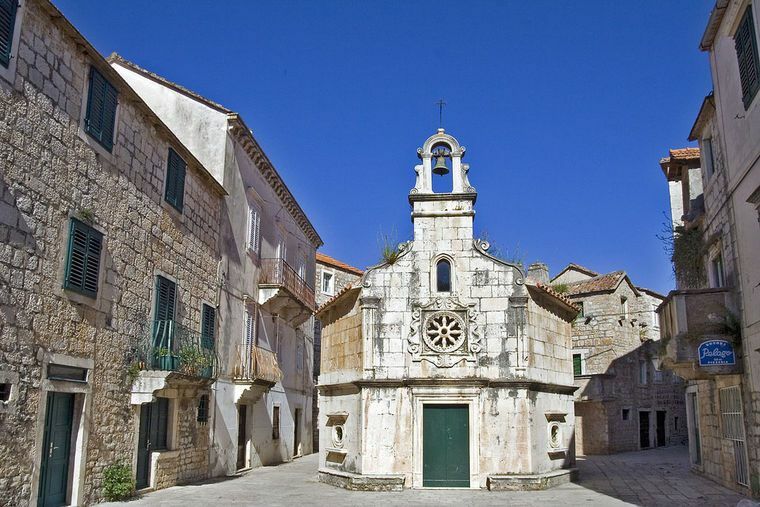 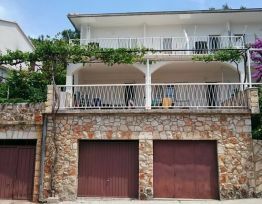 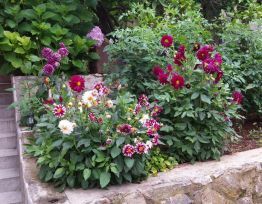 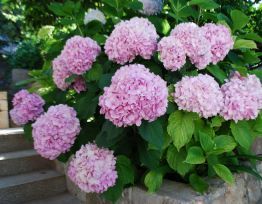 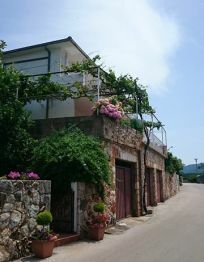 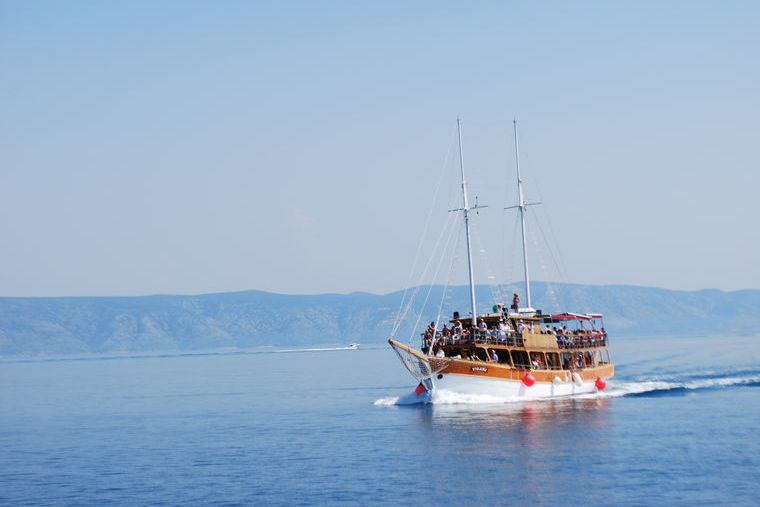 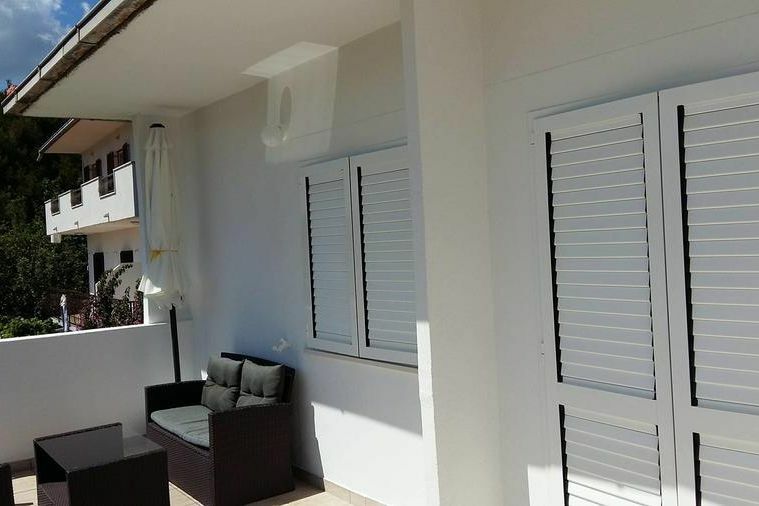 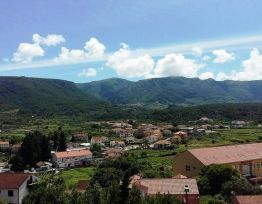 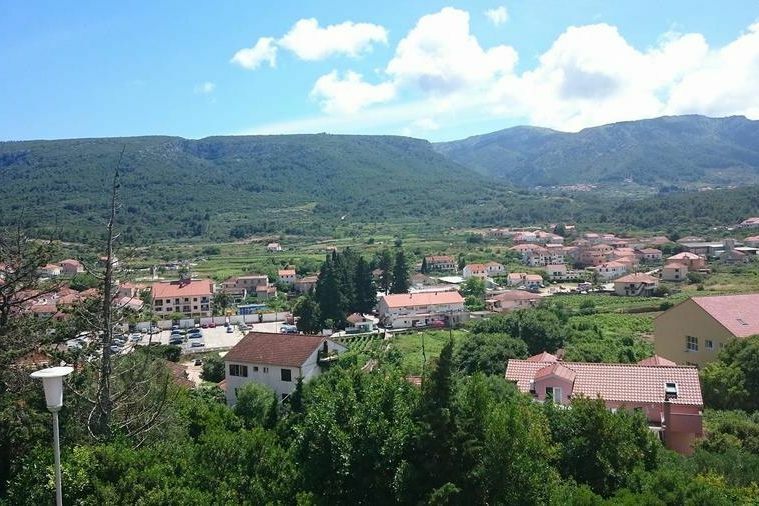 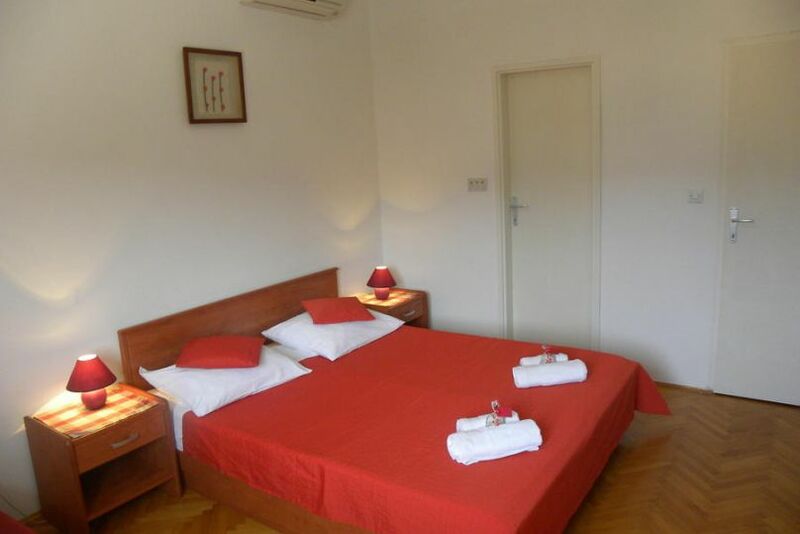 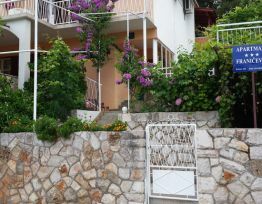 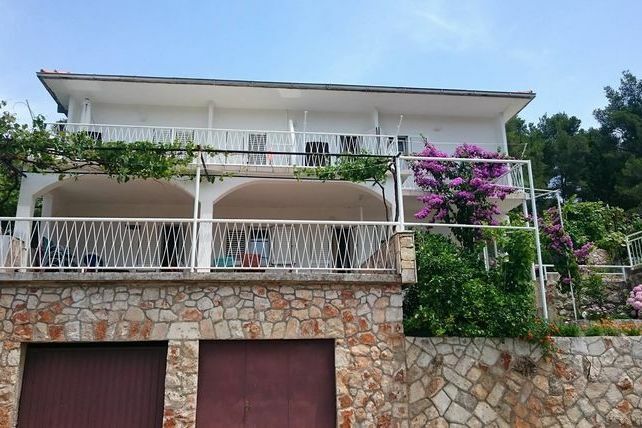 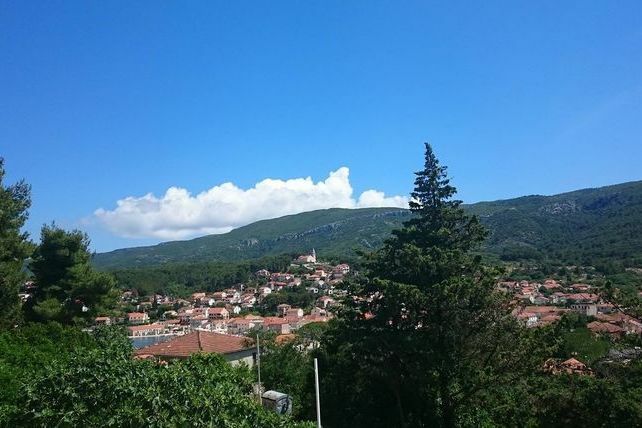 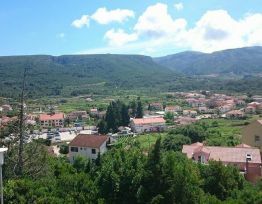 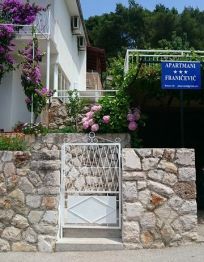 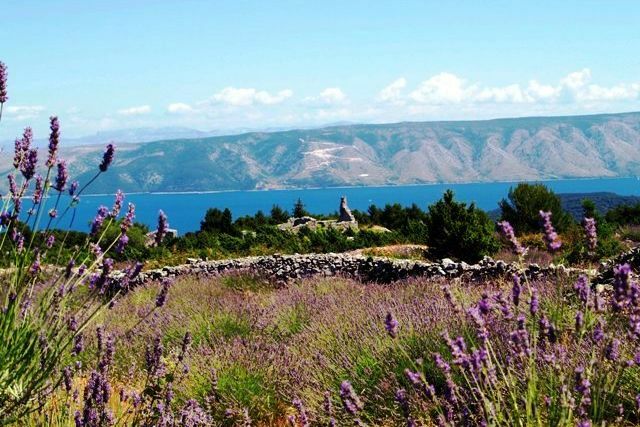 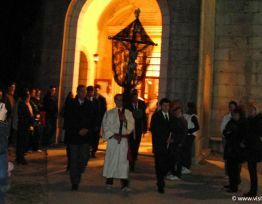 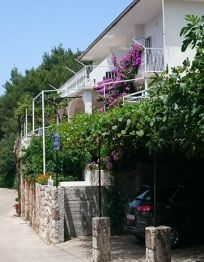 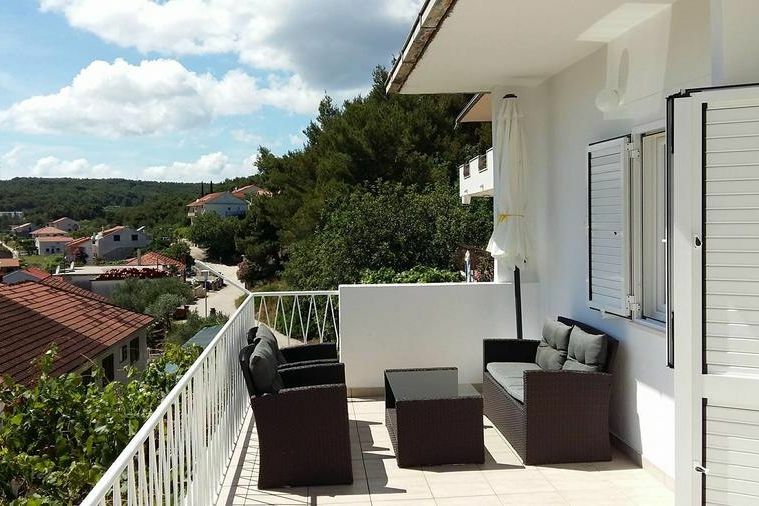 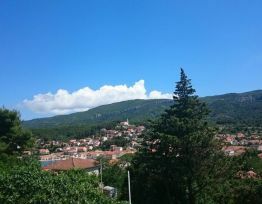 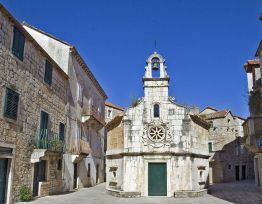 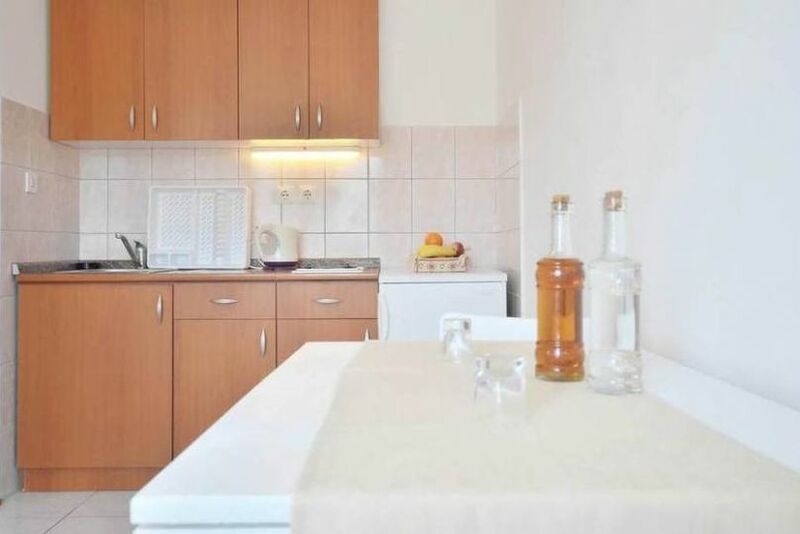 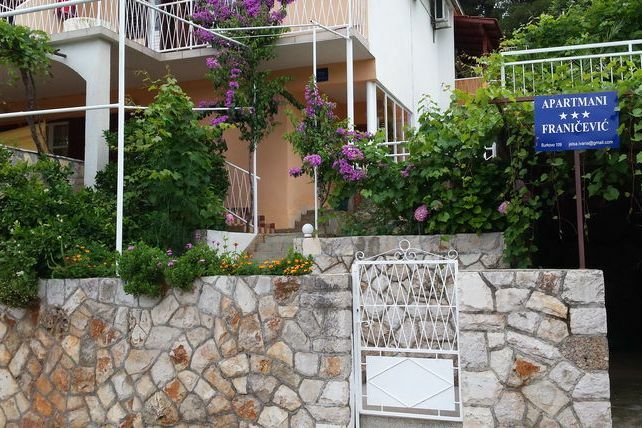 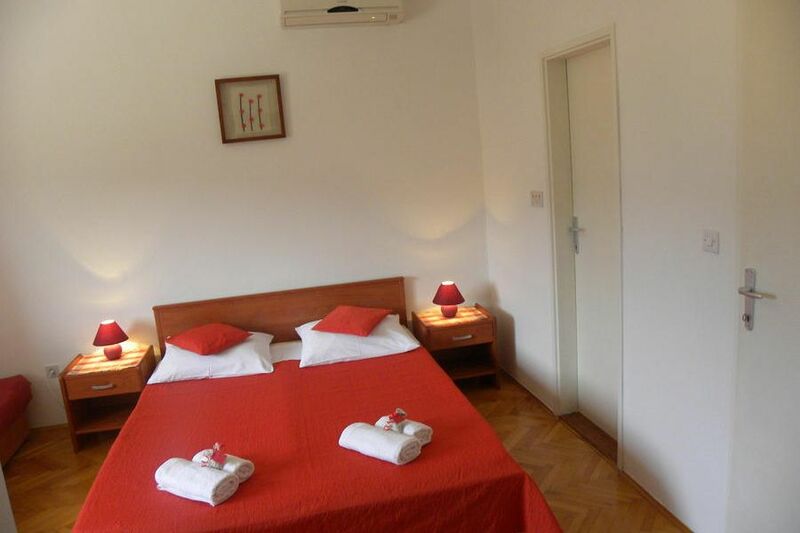 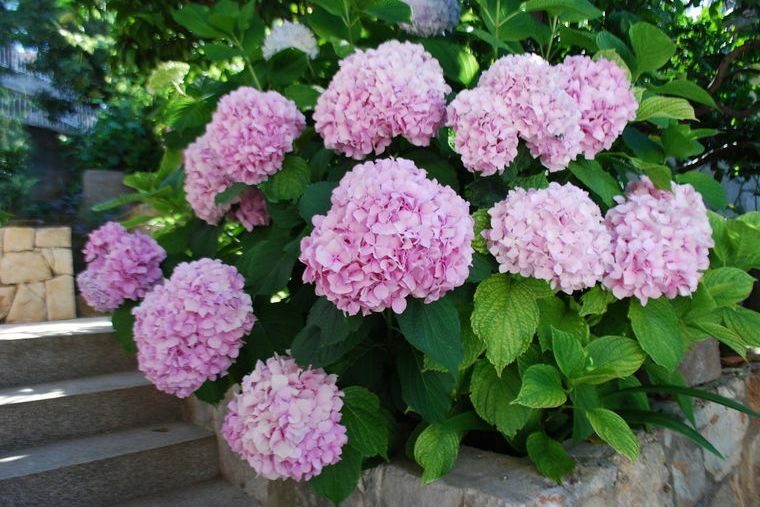 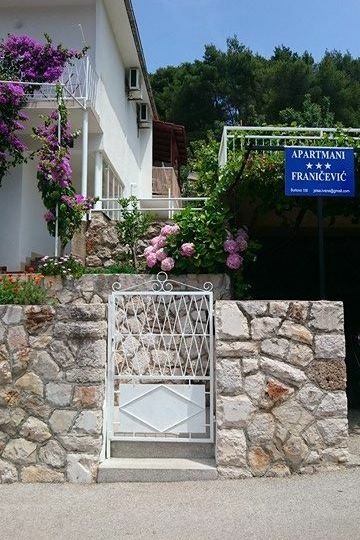 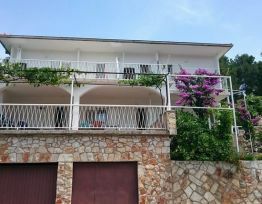 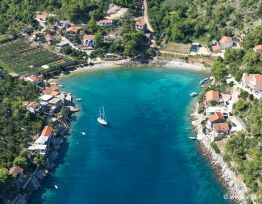 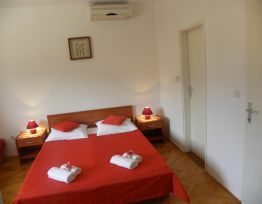 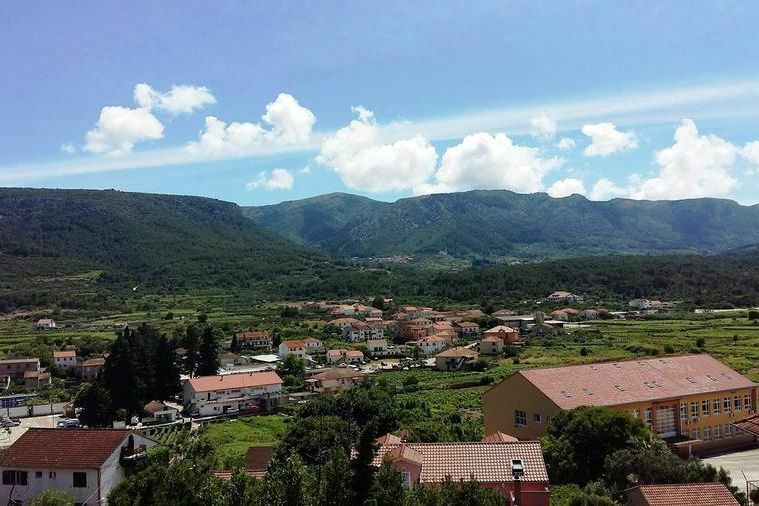 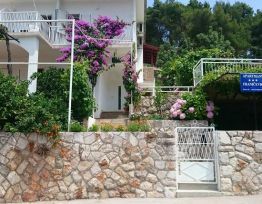 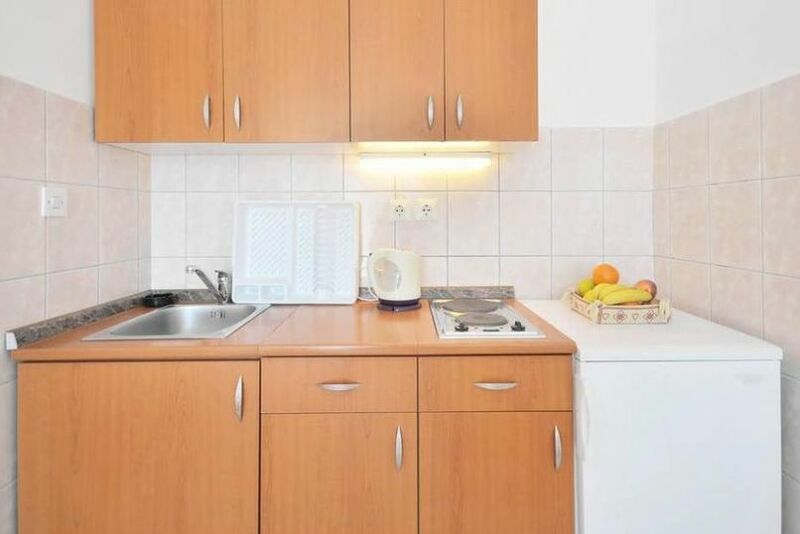 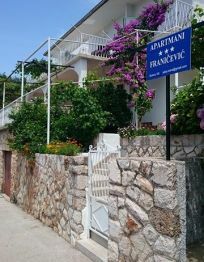 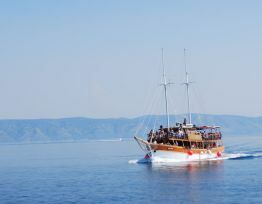 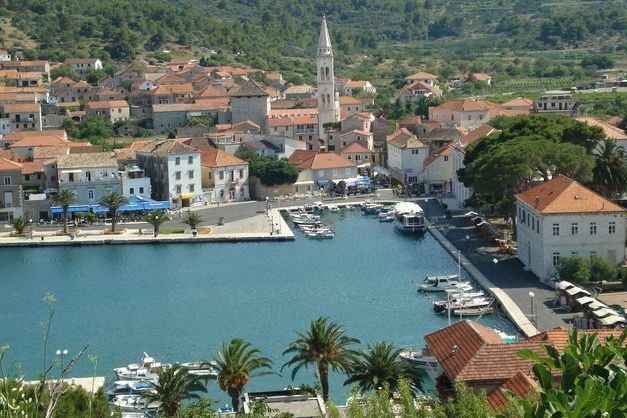 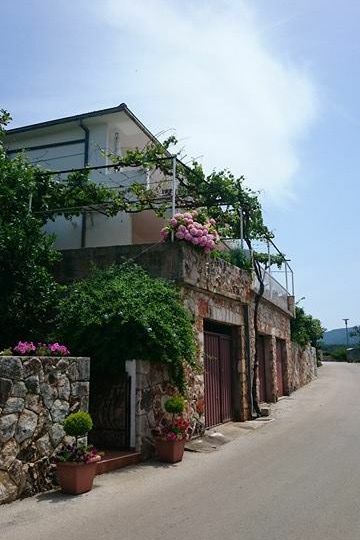 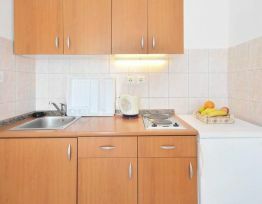 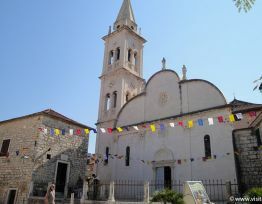 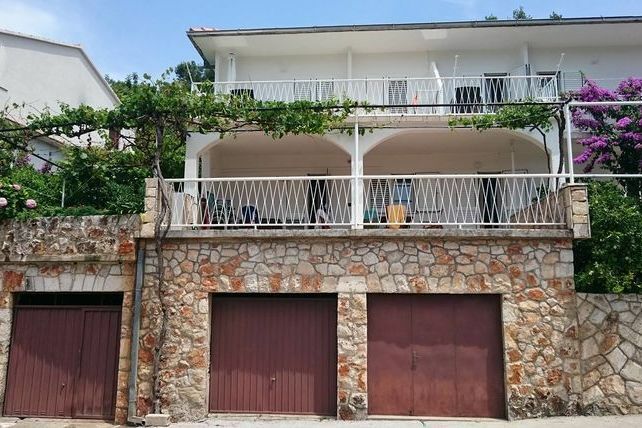 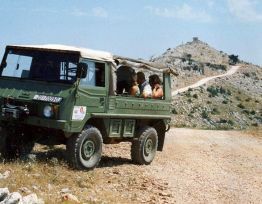 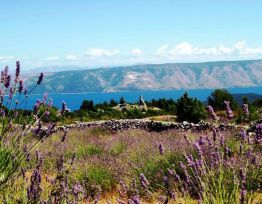 Franičević Apartments are located in a peaceful part of Jelsa, no more than 300 meters from the town center and the sea. 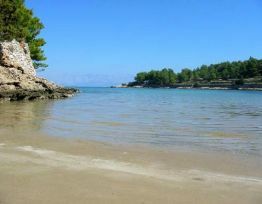 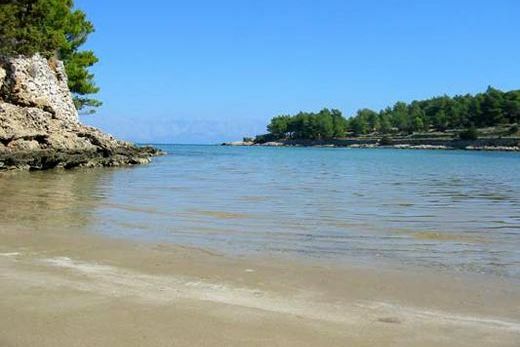 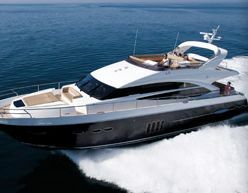 The nearest beach is also around 300 meters away. 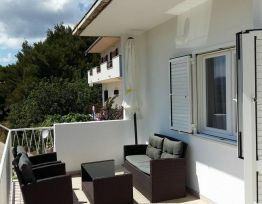 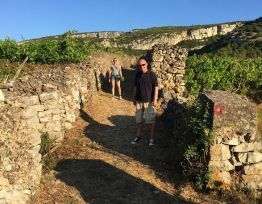 The apartments are on the first floor (4 apartments) of our family house and have spacious terraces with a beautiful view of Jelsa and its surroundings. 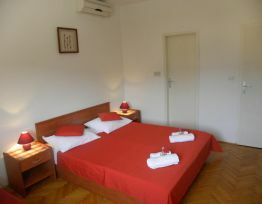 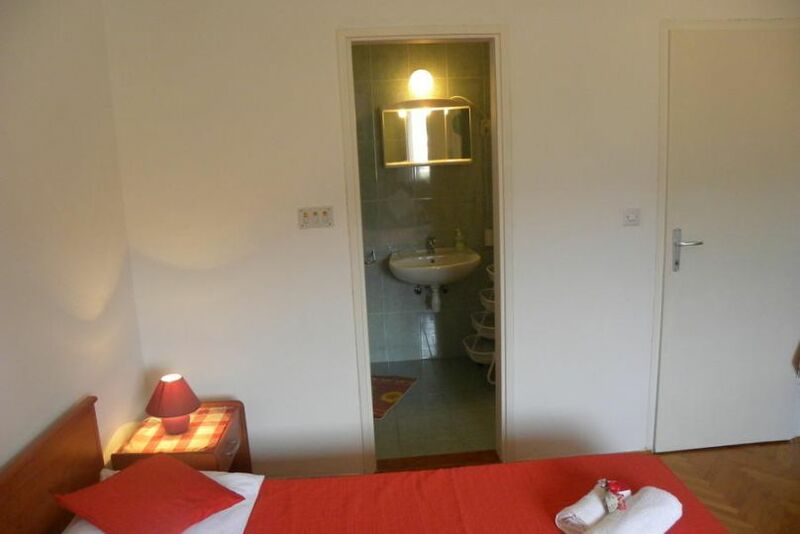 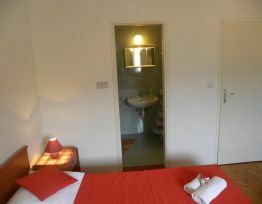 All of the apartments have satellite TV, Wi-fi and air conditioning. 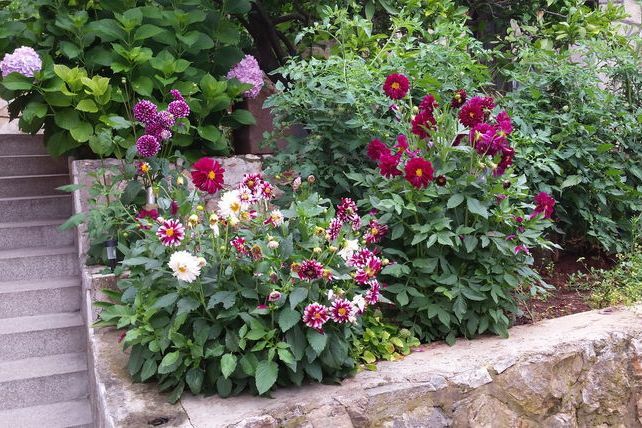 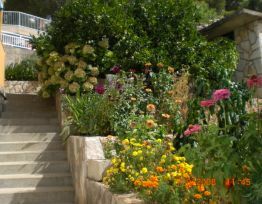 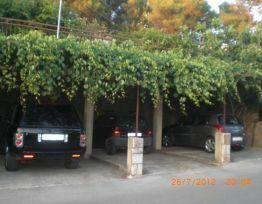 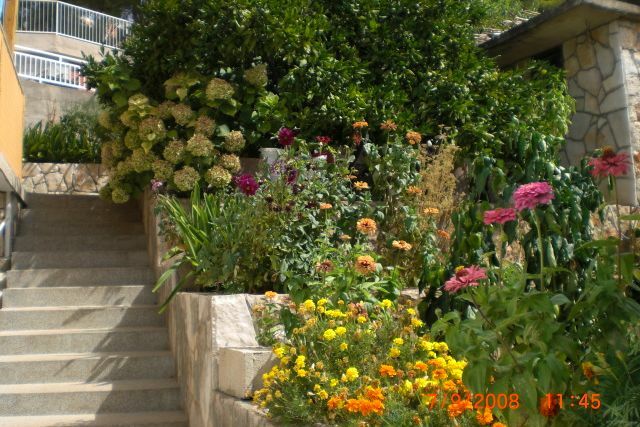 There are private parking spaces for guests cars in front of the house and above the house. 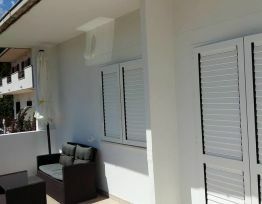 Guests can use the indoor and the outdoor barbecue in the yard. 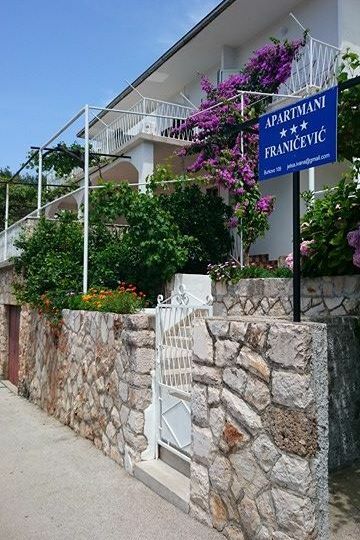 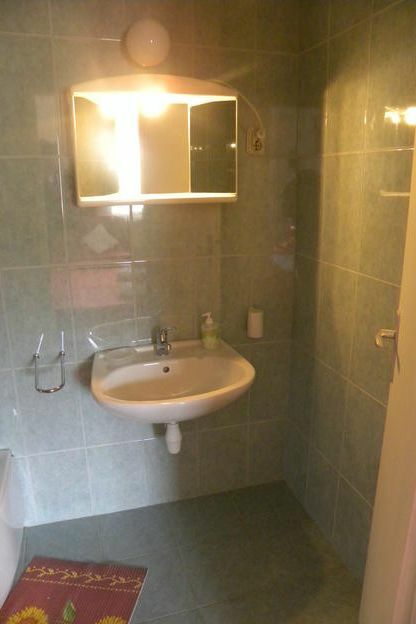 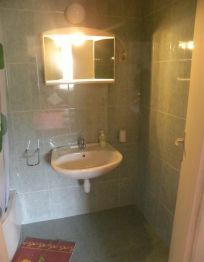 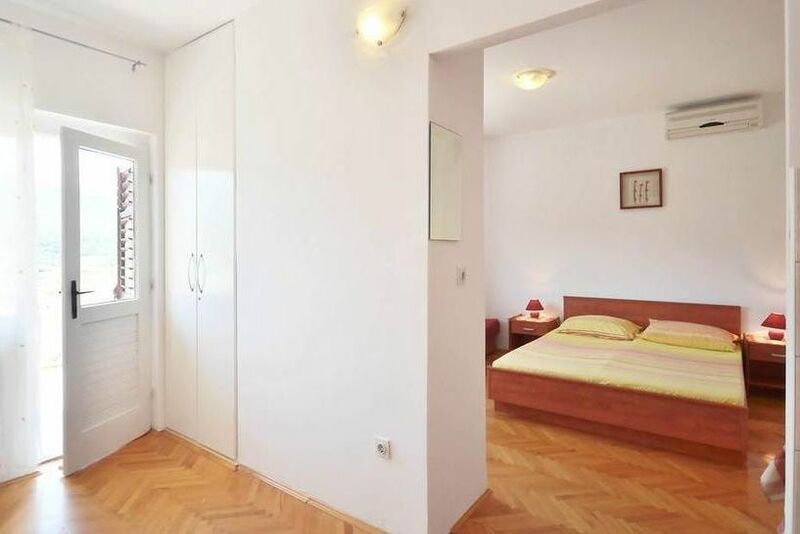 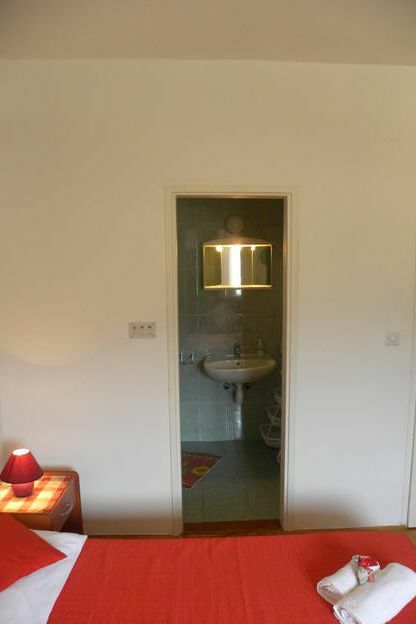 Apartment A3 is situated on the first floor of the family house. 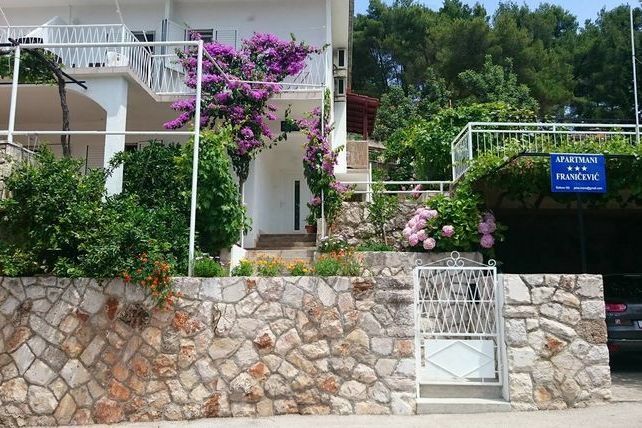 It consists of a big bedroom with a double bed and a pull-out couch, a well-equipped kitchen, a bathroom with a shower, and a spacious terrace with a beautiful view of Jelsa and its surroundings. 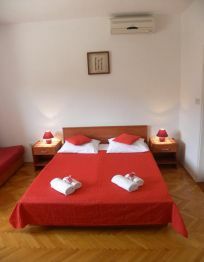 There is satellite TV, Wi-fi and air conditioning in the apartment. 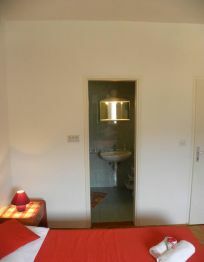 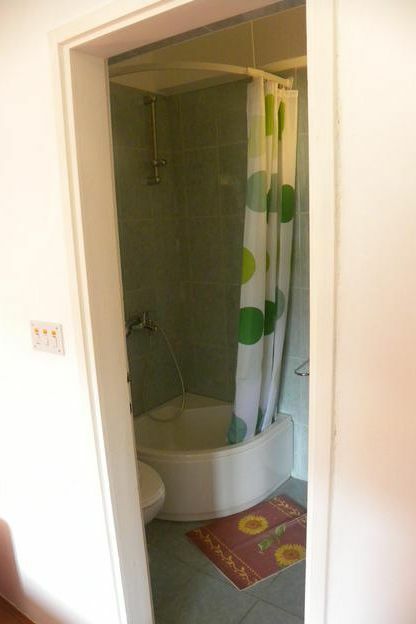 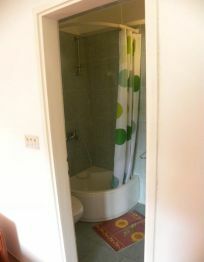 Also there are bed linen and towels in the apartment. 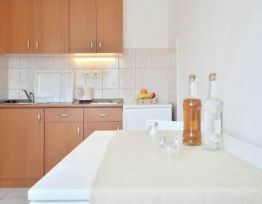 Guests can use the indoor and outdoor grill in the yard. 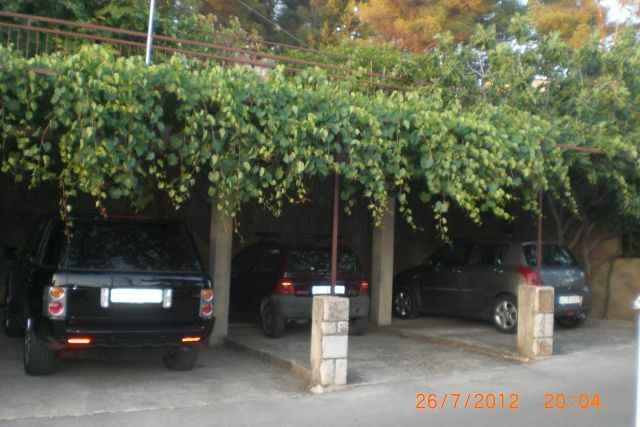 There is private parking lot for your car.